Mtech Fire Fighter Assisted Opening Rescue Pocket Knife | BUDK.com - Knives & Swords At The Lowest Prices! 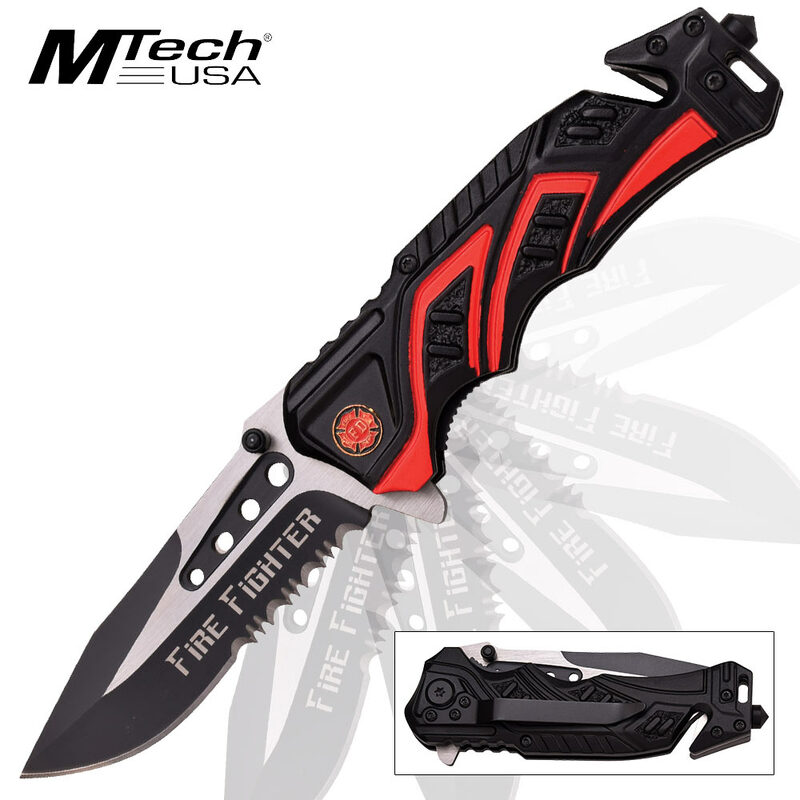 MTech has honored the hometown heroes by designing a knife specifically for their needs. 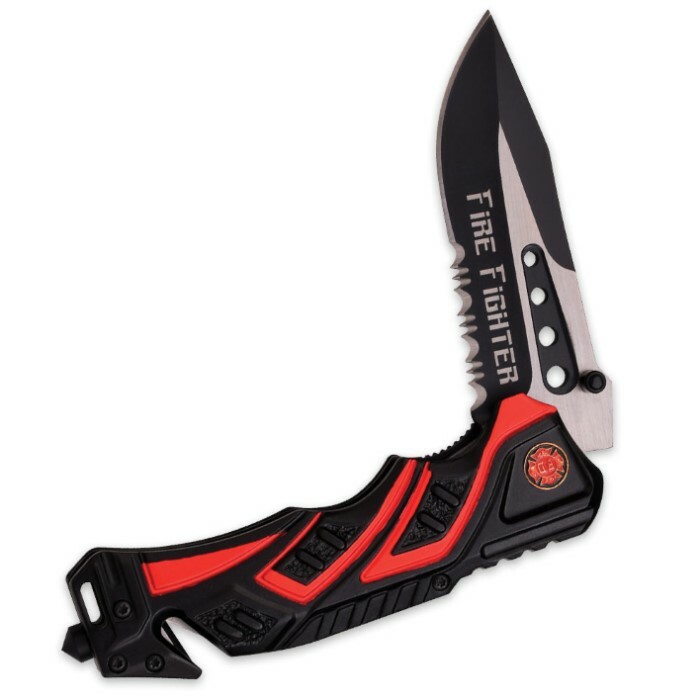 This spring assisted, folding pocket knife features a Fire Fighter logo on the black and red two-tone aluminum handle. 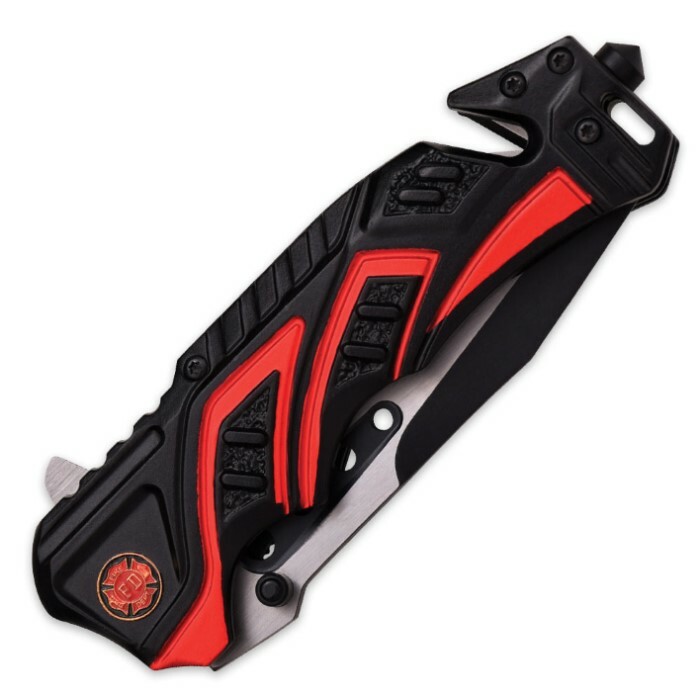 It has a 3 1/2” stainless steel half-serrated blade that will definitely get the job done in an emergency situation. It also features a belt cutter, pocket clip and glass breaker and is 4 1/2” closed.